Pediatricians and other health providers play a critical role in advocating for programs and policies that will end childhood food insecurity. Food insecurity — even marginal food insecurity — is detrimental to children’s health and well-being. For example, food insecurity can lead to poor health status, developmental risk, mental health problems, and poor educational outcomes. Educate and train staff and leadership on food insecurity and the importance of universal screening. Incorporate food insecurity screening into the institutional workflow so it is sustainable, such as adding a screening tool into existing registration or intake procedures, or into the electronic health record. Learn how to address food insecurity in a sensitive manner (e.g., screen all patients to minimize stigma, normalize the screening tool questions). Use the validated and AAP-recommended Hunger Vital Sign™ to screen for food insecurity. *Use an alternative food-insecurity tool if already embedded in your existing screening procedures (e.g., question about food or economic hardship). A patient screens positive for food insecurity if the response is “often true” or “sometimes true” to either or both of the above statements. Document and code the administration and results of the food insecurity screening in the patient’s medical record. The federal nutrition programs play a critical role in improving food security, dietary intake, weight outcomes, health, development, and learning. They are important interventions for patients who screen positive for food insecurity as well as for others in need. Previously known as Food Stamps, the SNAP Program is the largest federal nutrition program. SNAP benefits are loaded onto an Electronic Benefit Transfer (EBT) card so that participants can purchase food at supermarkets, farmers’ markets, and other food stores. SNAP helps low-income individuals and families buy food, lifts people out of poverty, and expands during hard economic times or a natural disaster to meet rising need. SNAP is not only effective in reducing food insecurity, but the program also provides well-documented benefits to children’s health, development, and well-being. Benefits reach some of America’s most vulnerable households, and more than 82 percent of all benefits go to households with a child, a senior, or a person with a disability. The Special Supplemental Nutrition Program for Women, Infants, and Children (WIC) provides nutritious foods, nutrition education and counseling, and access to health care for low income pregnant and postpartum women, new mothers, infants, and children up to the age of five years old who are at nutritional risk. Research shows that WIC is effective at reducing food insecurity, improving dietary intake, addressing obesity, and improving other health outcomes. The Child and Adult Care Food Program (CACFP) funds free nutritious meals and snacks for young children in child care centers, family child care homes, Head Start or Early Head Start programs, and domestic violence and homeless shelters. Research demonstrates that the program improves dietary intake and health of participating children as well as the quality of care. School Meals boost children’s nutrition, health, and educational achievement by reimbursing public and nonprofit private schools that provide school meals and snacks to children. 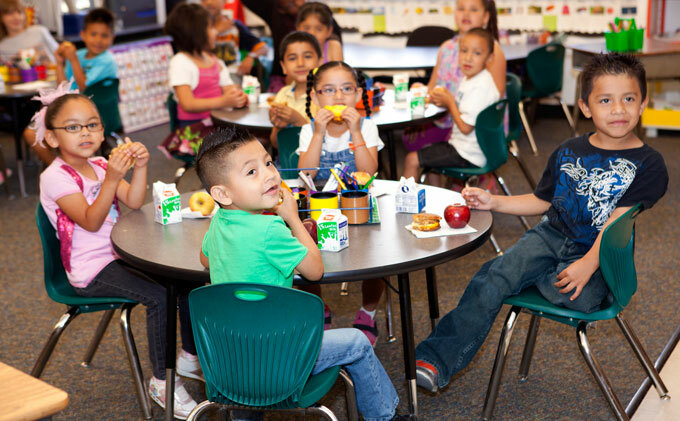 Federally funded school meals must comply with national healthy nutrition standards. Recent changes in the law allow high-poverty schools to offer all students free breakfast and lunch, which has a very positive impact on those schools and students. The School Breakfast Program works best when schools offer free breakfast to all students and make it part of the school day through alternative delivery models (e.g., breakfast in the classroom, “grab and go,” second chance breakfast). Participation in the program is associated with improvements in food security, health outcomes, and academic achievement. The National School Lunch Program makes it possible for all school children in the United States to receive a nutritious lunch every school day. Participation in the National School Lunch Program has favorable impacts on a number of outcomes, including food security, dietary intake, obesity, and health status. The Afterschool Nutrition Programs provide federal funding to school-based, agency-based, and community-based programs operating in low-income areas after school, on weekends, and during school holidays to serve meals and snacks to youth 18 years of age and under. The free nutritious snacks and meals help draw children and adolescents to programs that provide a safe place for them to be engaged and to learn. The Summer Nutrition Programs provide meals to children age 18 years and under at school-based, public agency-based, and nonprofit sites that offer educational, enrichment, physical, and recreational activities during the weeks between the end and start of the school year. This ensures that children who receive school meals during the school year receive continued good nutrition over the summer. 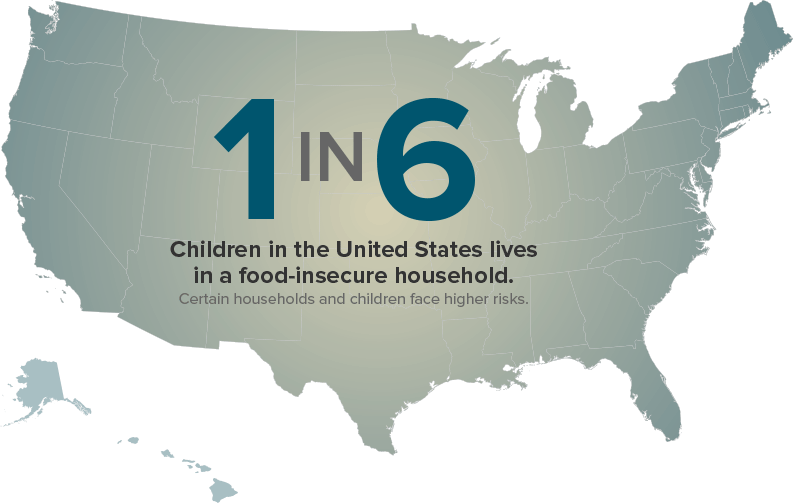 Research shows that children are more vulnerable to food insecurity during the summer. Summer meal sites must be located in a low-income area or serve a majority of children who qualify for free or reduced-price school meals. Administer appropriate medical interventions per your protocols. Pediatricians can consult the AAP Pediatric Nutrition Handbook, 7th Edition for the latest evidence-based guidelines on addressing childhood nutrition issues. Connect patients and their families to the federal nutrition programs and other food resources. Post health messaging on the federal information programs in your waiting room or rooming areas to encourage program participation. Document and track interventions in medical records. Document screening and interventions to address food insecurity in the patient’s medical record. Support advocacy and educational efforts to end childhood food insecurity. Whether at the federal, state, or local level, pediatricians have long advocated to improve the food security, nutrition, and health of children by strengthening the federal nutrition programs.